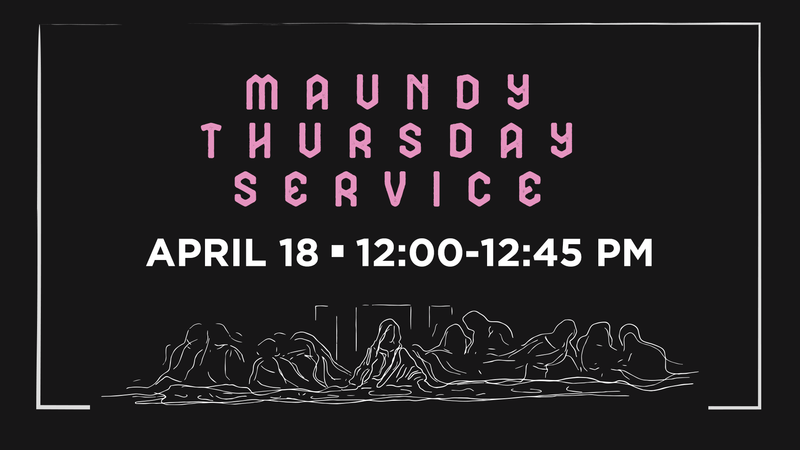 Maundy Thursday Join us at the Sanctuary on the Square for a Maundy Thursday service on Thursday, April 18, from 12–12:45pm. This short service is designed for you to be able to worship during your lunch break. We will commemorate Christ’s Last Supper with his disciples with hymns, a brief message, and sharing communion.